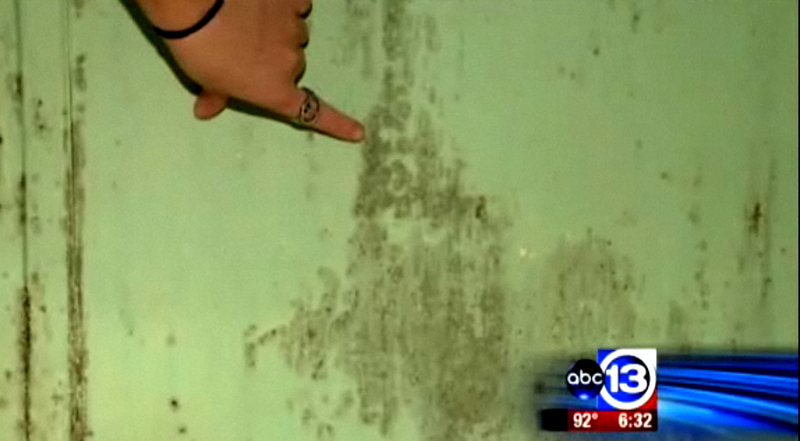 A Texas family is the latest to make the local tee vee news (then, as often is the case, national 'odd news' headlines) by claiming to see Jesus' image in their moldy, disgusting shower. According to KTRK News, "The mold started a couple of months ago while Thomas George, who also lives in the house, was in prison." One woman who lives in the home here has HIV. Her family says she has been doing better since they discovered that moldy likeness of Jesus in their shower just a few months ago. Hopefully she doesn't stop taking her meds and die like some other HIV-positive miracle-believers. Chyanna Richards, who lives in the house, said, "Maybe it means something. Maybe look into yourself and see if you need to change something in your life." What it means, Chyanna, is that you need to clean your nasty shower.